The 5 best places to start you blog! More and more people are wondering to start a blog of their own and of course you also want to start an successful blog. Take a look at this article to know how people become successful bloggers. One thing is for sure, you’ll can’t get successful when you haven’t found your best place to start a blog. Luckily we are here to help, we’ve rounded up the 5 places to find your best place to start a blog! Find the best place to start a blog of your own! WordPress is a free blog hosting site and already has many users, 25% of all the websites are made with WordPress. Wordpress isn’t as hard as most people think. 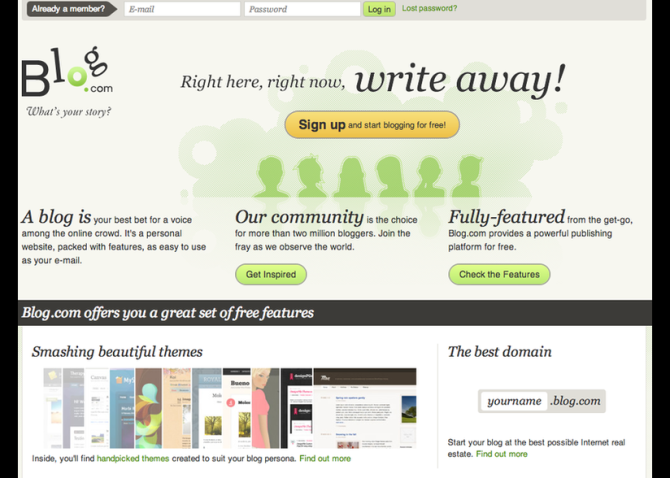 You can choose from a lot of templates and find the best style that wil fit your blog. You can also customize the layout, colors and background and add powerful widgets to engage with followers, fans, and friends. You can use WordPress for free and get an .wordpress domain name or you can pay and use your own domain name. It is very easy to start your own blog at blog.com for free. You can choose from several themes, use multi-author blogging, add social media widgets to your blog post and publish video’s. You can upgrade to an paid premium package to get your own domain name and to use advertising network. 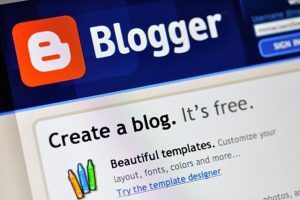 Blogger is a free blog publishing tool from Google, for sharing your texts, photos and videos. 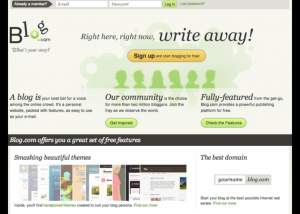 Blogger offers free templates/ themes and widgets. Blogger is easy to use, you can create your new blog step by step. To use blogger you’ll need an Google account. When you want to use your own domain name, you need to get an paid upgrade. 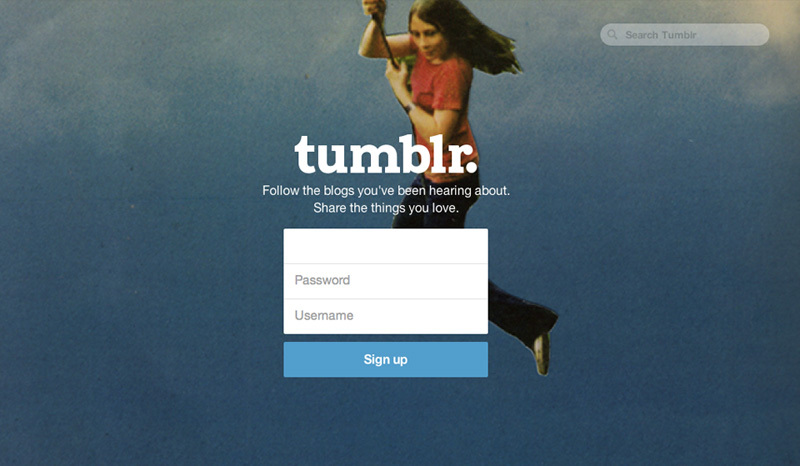 Tumblr is a free blog publishing tool and social network, since 2013 Yahoo bought Tumblr. Tumblr allows you to follow blogs and to share your friends’ blogs through re-blogging. With Tumblr it is very easy to share a lot of different content, such as videos, GIF’s, stories and even TV-shows and Spotify tracks! SquareSpace is a very creative and modern platform to start a blog. SquareSpace offers a lot of templates that will make your blog look professional. You can also set your own custom domain name. Unfortunately, SqaureSpace isn’t for free. It will cost 12 to 18 dollars per month. Square Space does offer an 14-day free trial. When you found your best place to start a blog, it can be hard to find out what to blog about. To help you get started, take a look at this article. To get help with writing quality and SEO content, subscribe to webtexttool and enjoy 30 days free trial. You could also read the best whitepapers to learn about SEO. 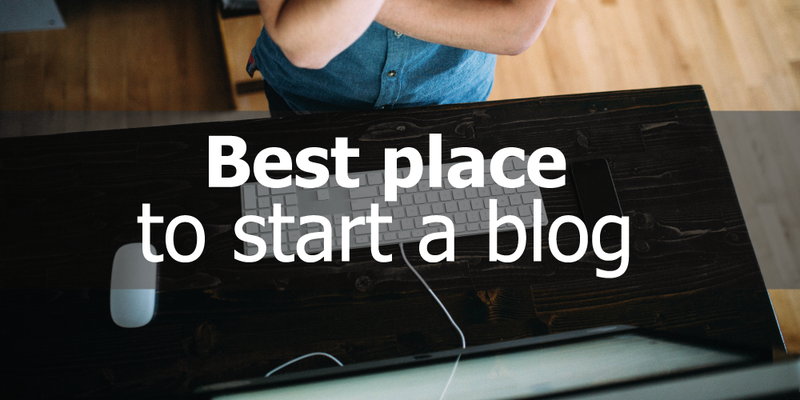 We hope you found your best place to start a blog!